Happy Valentine’s Day. I’ve made a Love-ly Garden wall hanging (or table runner) free tutorial just for you! It finishes at 22″ x 38″. 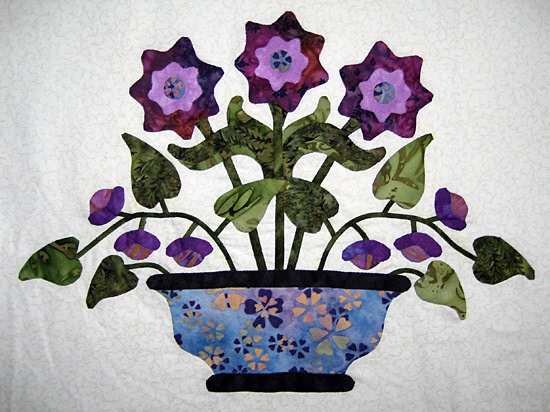 Block 20 of our Quilt-Along is Jingle Bell Flower designed by Thearica Burroughs. Our friends at Fort Worth Fabric Studio have a fabulous 40% off Super Deal for you to enjoy too. Today, I’m a guest over at Sew We Quilt. I’ve designed a block for our quilt-along, Christmas Ornaments, and have included instructions for turning it into a mini quilt. There’s a fabulous give-away with loads of goodies up for grabs too. Block 15 of our Quilt-Along is Mare-y Christmas designed by Shelly Pagliai. I must confess, I squealed with delight when I saw this block. Our friends at Fort Worth Fabric Studio have a fabulous 40% off Super Deal for you to enjoy too. Block 12, Christmas Angel, has been designed by Erin Russek and incorporates appliqué, piecing and a bit of embroidery. If you’re a lover of hand-dyed fabrics like me, you’ll want to get in on the store-wide savings from Hand Dyed Fabrics by Lori for our Super Deal too. It’s Week 2 of our Celebrate Christmas Quilt-Along. Block 4, Cookies 4 Santa, has been designed by Kim Hanson. Our friends at the Fat Quarter Shop have a fabulous 50% off Super Deal for you to enjoy. I’m using The Caroler fabric by Mary Engelbreit to make a cute Christmas-themed table runner from Erin’s adorable mittens applique pattern. 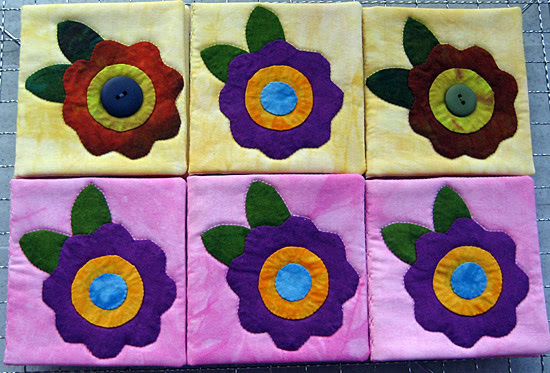 Not much stitching going on here this week, but I did manage to finish six applique posy needle cases. One I will mail to my swap partner later today and a couple others to friends.